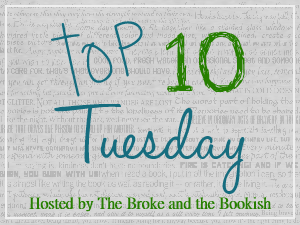 This week is a freebie topic on Top Ten Tuesday, so I get to pick my own. After much deliberation, it has been decided that this week is all about the authors I've been able to meet! I have been lucky enough to meet some amazing authors, you guys. Some of the signings have been super informative or hilarious or felt like I was having a chat with friends... or all of the above! I really love living in a place where it's possible to have these wonderful bookish experiences! Me & Maggie... & my giant stack of books! AH! 1. Maggie Stiefvater - I MET MAGGIE STIEFVATER!!!! Ahhh!! Maggie can do no wrong in my opinion and anything she writes is an insta-buy for me. 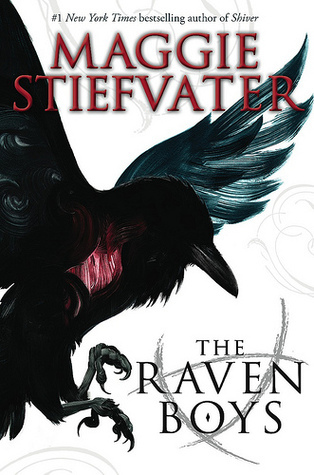 I was ecstatic when I found out she was going to do a signing for The Raven Boys at one of our local bookstores. I'm pretty sure nothing in the universe could have stopped me from going. She is absolutely hilarious and so incredibly nice, too. Though she was just doing a signing, she really took the time to talk to each person and get to know them a little. Seriously, this is one of my most favorite experiences. I even got a picture taken, which never happens because I hate being in front of the camera. I couldn't miss the opportunity, though. Maggie is definitely a rock star! 2. Shannon Hale - Shannon was in town for the release of Palace of Stone. I have been a fan of her since a friend of mine first put The Goose Girl in my hands and told me I would love it. She was absolutely right! 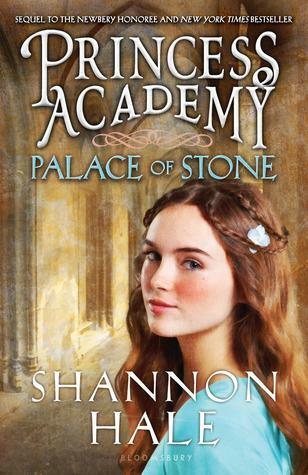 Shannon's books are so good and heaps of fun. The author herself is freakin' funny and while she was talking, it felt like having a chat with a good friend. I had a blast meeting her. And she told me she loved my hair! AH! 3. Suzanne Young - I was actually able to meet her two different times, one as recent as this weekend! The first time I saw her she was talking about A Want So Wicked. I hadn't read any of her books yet, but they were on my TBR list, so I was dying to go. (I tend to get to books sooner when I have them in hand.) The second time I met her was at Phoenix Comicon this weekend (yay for a free pass!). I was on my way down to the exhibition hall to get copies of The Program signed for myself and a friend, when the fire alarm went off and the building had to be evacuated. I was devastated! I didn't get to go to her book launch because I had to work, so I had been looking forward to going to comicon and catching her there... only to be thwarted by an emergency evacuation. (Don't worry. It turned out to be nothing, thank goodness.) I posted on twitter about how sad I was... and she responded! YAY! A few tweets later, the building opened back up and I was able to meet with her. Oh my word, what an awesome person! Suzanne is super nice you guys. If there's ever a chance you can meet her, do it. I'm so happy she's a local author, because I'm sure there will be more events in the future. So awesome! 4. Laini Taylor - I had finished Daughter of Smoke and Bone right before this signing and I was so pumped to meet the creative mind behind it! 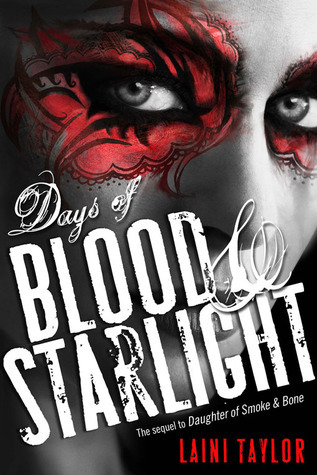 Laini was in town to talk about her newest book, Days of Blood and Starlight, which I couldn't wait to jump right into... after getting it signed, of course. Laini was so much fun and her bright pink hair is amazing! 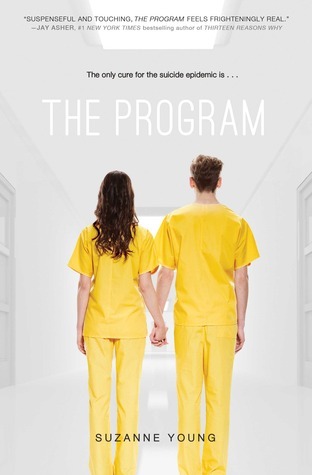 If you've yet to read this series, you simply must as soon as possible. It's so good! 5. 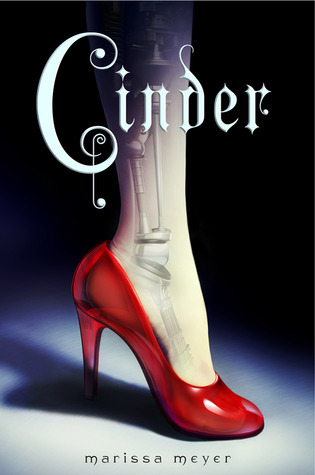 Marissa Meyer - I was this close to finishing Cinder when I met Marissa Meyer. Though I was worried there might be spoilers for the ending of the book, I couldn't miss the opportunity to meet her. Cinder is one of my favorite reads from last year and I am so happy I was able to hear her talk about it. She is such a sweetheart and I simply adore the world she's created! 6. Beth Revis, Andrea Cremer, Marie Lu and Jessica Spotswood - My sister and I took a trip from Phoenix to Los Angeles just to meet Beth and get our books signed. I had the time off already and Beth was touring with her book, A Million Suns, with these three wonderful authors for the Breathless Reads Tour. We had so much fun on that trip and the panel was a blast! All four ladies were wonderful and funny and had some amazing advice. It was especially fun to hear Beth talk about how she started writing this series because she wanted to kill people IN SPACE. Hee hee. Such a fun group! 7. 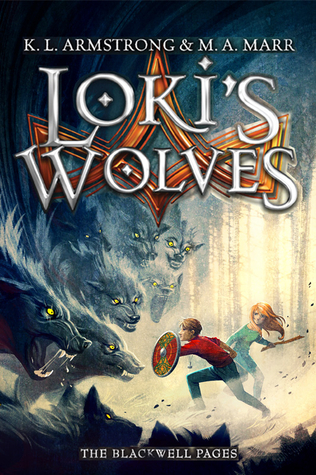 Melissa Marr and Kelley Armstrong - Melissa and Kelley were in Phoenix for Comicon and doing a mini tour type thing for their new middle-grade novel, Loki's Wolves. Being a huge mythology fan (and having read Melissa's book, Wicked Lovely... which I LOVED), I was super excited about this. I was able to attend their signing at a local bookstore AND see them at a panel during Comicon, so that was cool. You could really tell these two worked well together, and have been doing it for some time. They were so relaxed during the panel and the Q&A's, it was more like everyone was just sitting around having a little chat than a formal event. 8. 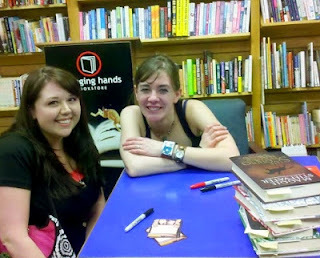 Cassandra Clare, Maureen Johnson and Sarah Rees Brennan - These three ladies were touring together for the release of Cassandra's final Infernal Devices book, Clockwork Princess. Oh my word, you guys. Maureen and Sarah are such characters! Talk about hilarity at every corner! I laughed so hard during the presentation and then when we got to meet them, those two made me crack up even more. Cassandra was swamped with signing a bajillion books, so her pals kept everyone entertained (and signed their own books, too!). My sister and I had so much fun! 9. Sarah Ockler, Kimberly Derting, Jessi Kirby, Morgan Matson and Shannon Messenger - I was able to meet all these ladies last week, too. It was a busy week! Anyway, they are all so entertaining! I didn't get off work in time to catch more than fifteen minutes of their discussion, so that was disappointing. I was really glad I had the opportunity to chat with all of them during the signing, though. Oh my word, they're all so nice! It was graduation time here in Phoenix, so there probably weren't as many people as there could have been, but I was fine with that. More time to visit! (Besides, they were at comicon the next day, anyway... though I missed them because of work, not surprisingly enough.) They were all promoting their newest books and I can't wait to dive into them! Talk about perfect summer reads! 10. Veronica Rossi, Anna Carey, Tahereh Mafi and Cynthia Hand - This is one of those events where I haven't read ANY of the books by these authors, but I have them and I've been wanting to! You could tell they all genuinely liked being with one another and it was a really great group dynamic. They were all on tour last month for the Spring Into the Future tour and I was lucky to get off work early enough to attend. I really love it when there are these group tours and the authors work so well together. Combine that with the fact that each author was friendly and personable, and it makes for an excellent event! Are there any authors you were particularly excited to meet? Were there any events that made you pick up the book simply because the author was so awesome? Let me know in the comments below! Wow! That is so cool that you've been able to meet so many extraordinary authors! Great post! This is a very impressive list! Good topic choice, too.